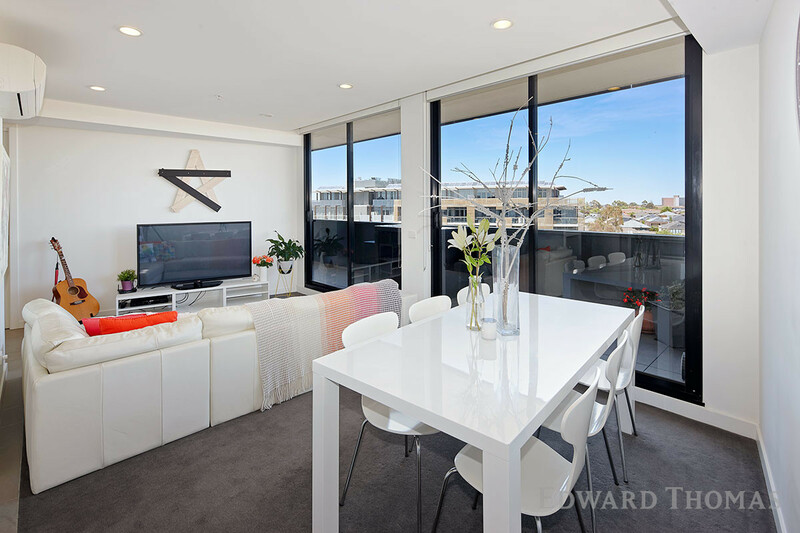 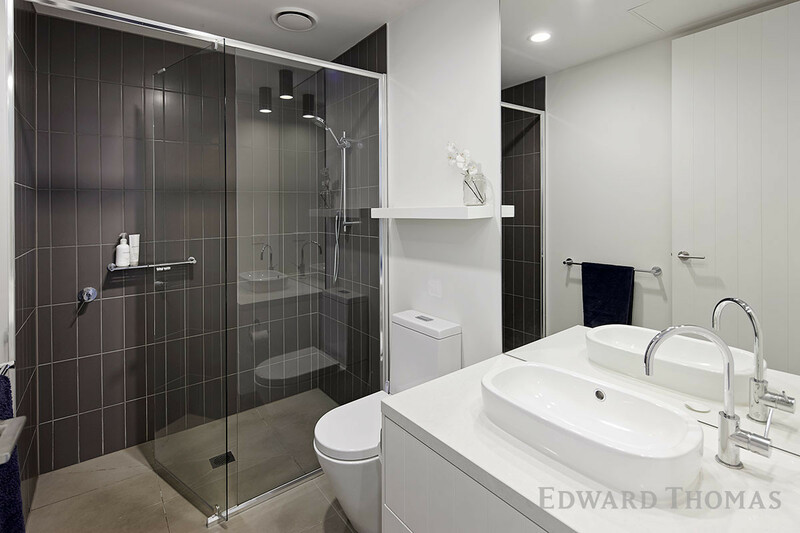 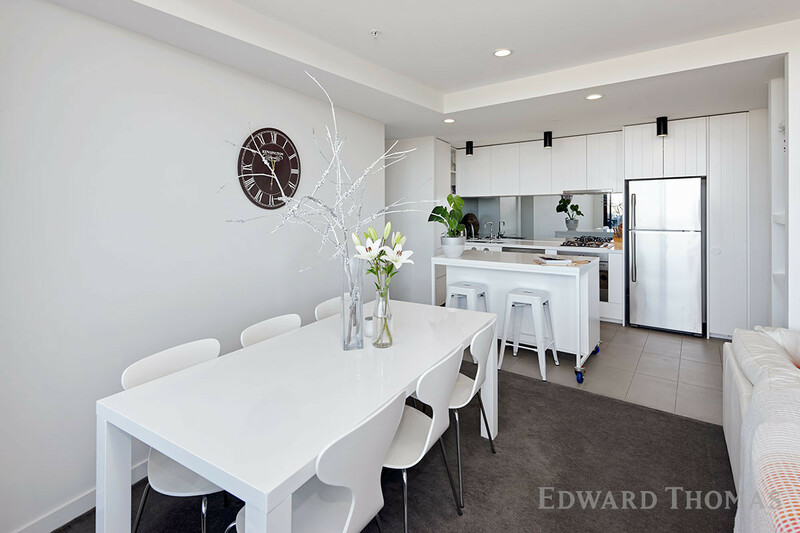 Enjoying Edgewater Estate exclusivity, this sophisticated, two bedroom/two bathroom apartment within the renowned “Boulevard” complex, delivers the ultimate city-fringe lifestyle. 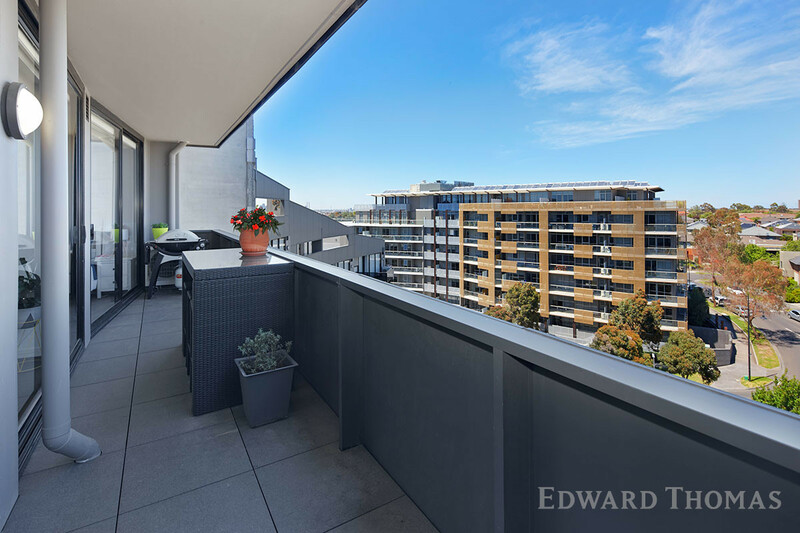 Occupying a sterling sixth floor position, a full-width balcony overlooks the vast entry terrace below simultaneously savouring a spectacular panorama including city glimpses. 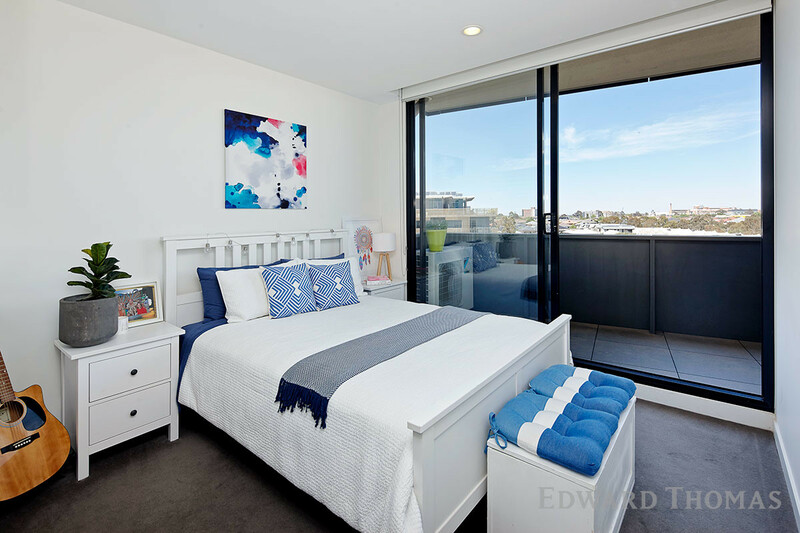 Abundant glass assures views can be enjoyed from all principle rooms. 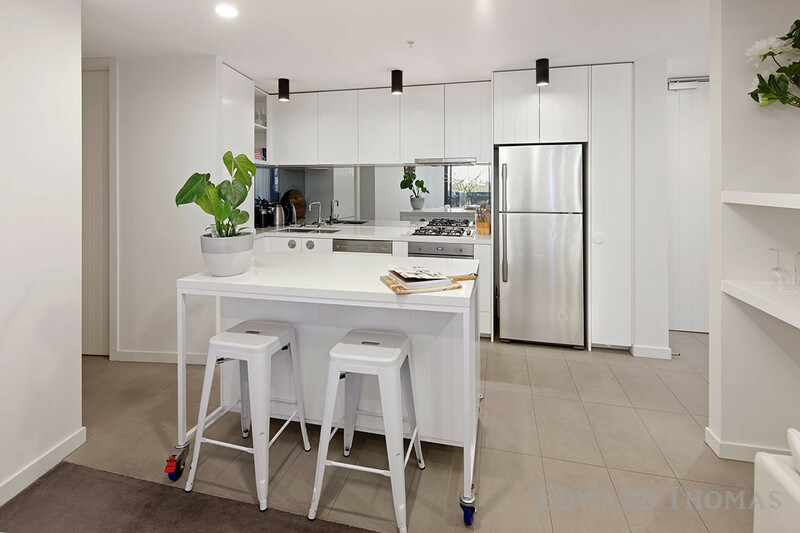 An expansive, light-filled living domain incorporates a gourmet Smeg-appointed kitchen with mirrored splashbacks, stone counters and a castor-mounted island bench for ultimate versatility. 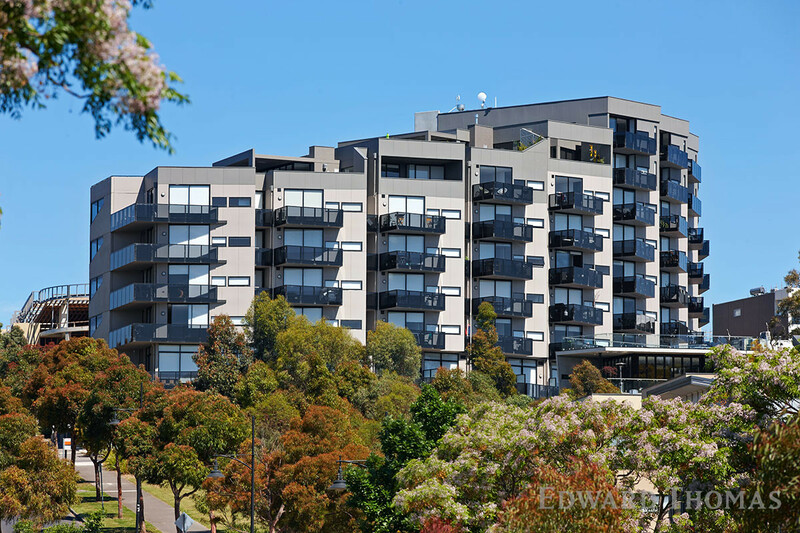 Evident throughout, uniquely panelled, soft-closing joinery and floor-to-ceiling BIR and entry doors contribute architectural flair and consistency of design. 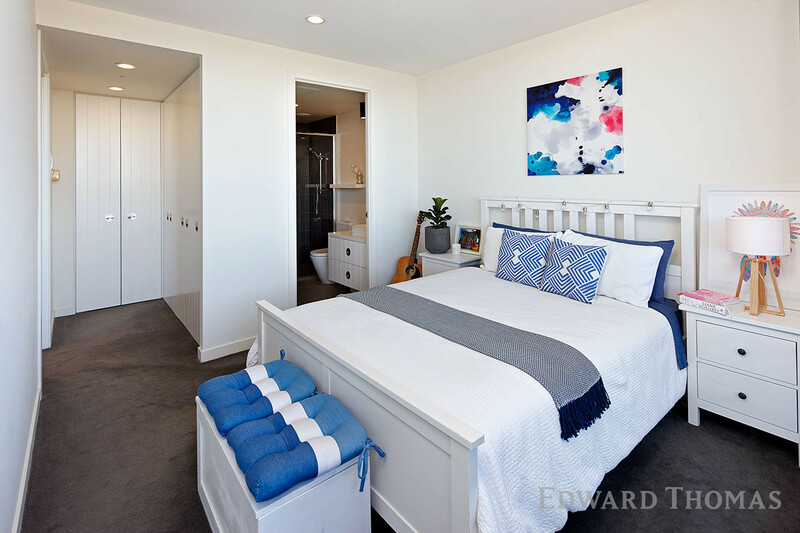 The bedrooms are large, sharing deluxe central and ensuite bathrooms boasting stone-topped vanities and extra wide showers. 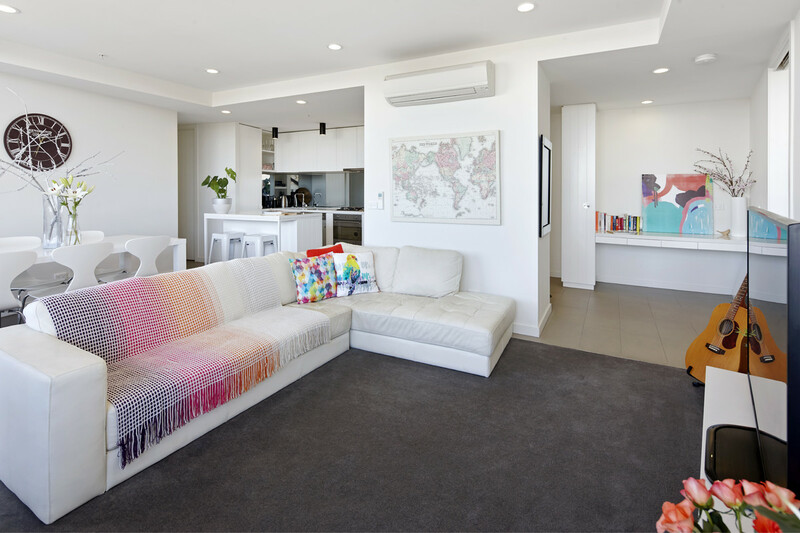 Bursting with features, split system air conditioning, secure undercover parking, storage cage, stone desk study nook, European laundry, video intercom and centre surveillance are just some of the new buyer, investor and downsizer temptations in store. 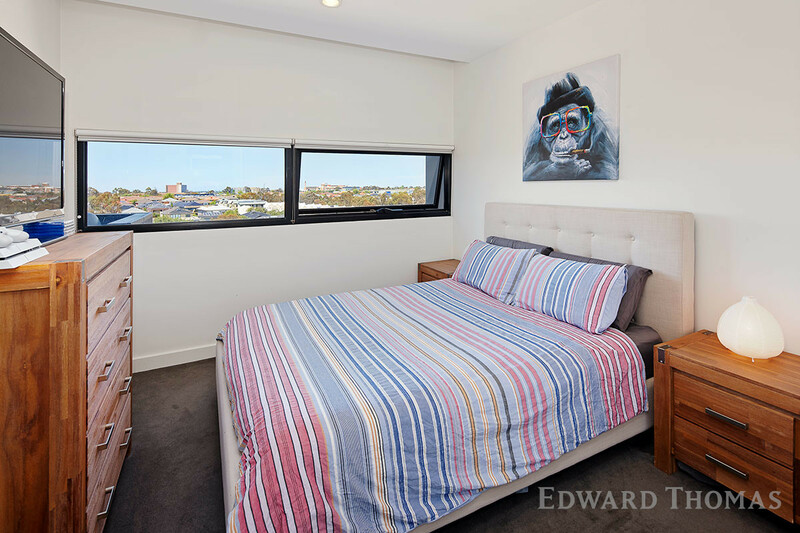 Close to cafes, Highpoint Shopping Centre and the Maribyrnong River precinct.